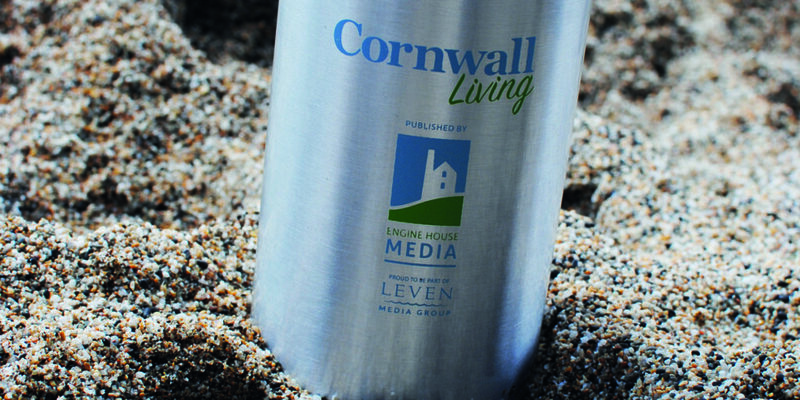 People in Porthleven are getting very serious about stopping waste plastic getting into the sea. 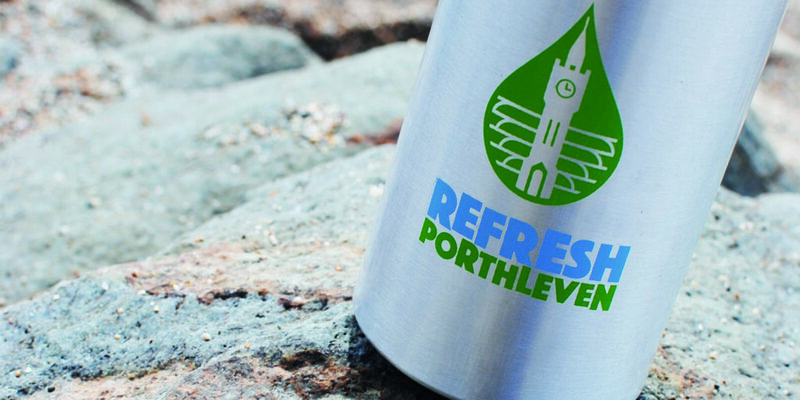 If you see a Refill sticker in the window of a café or pub or restaurant, you know they will cheerfully refill your re-usable water bottle. 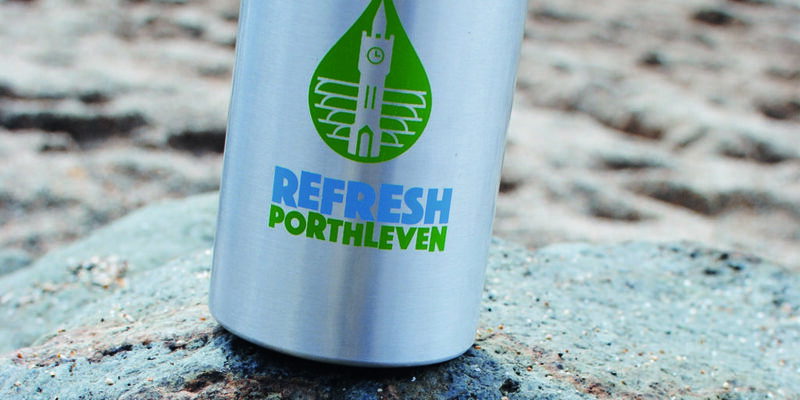 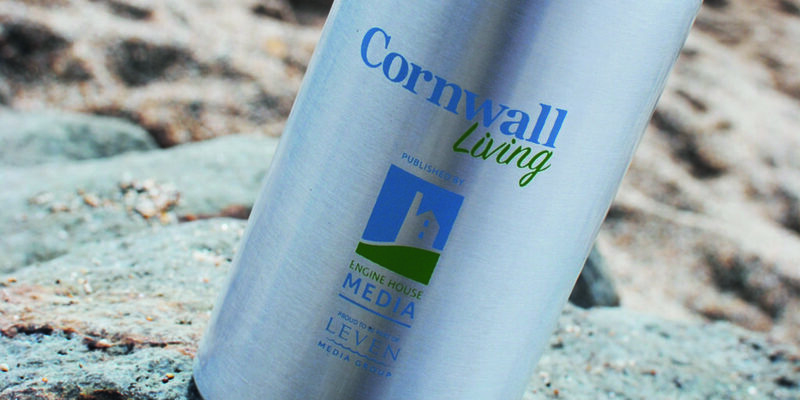 If you take your bamboo coffee cup into practically anywhere that sells coffee they will give you a discount, and if you have neither cup nor bottle you can buy really cool, newly designed, Refresh Porthleven bottles and cups. 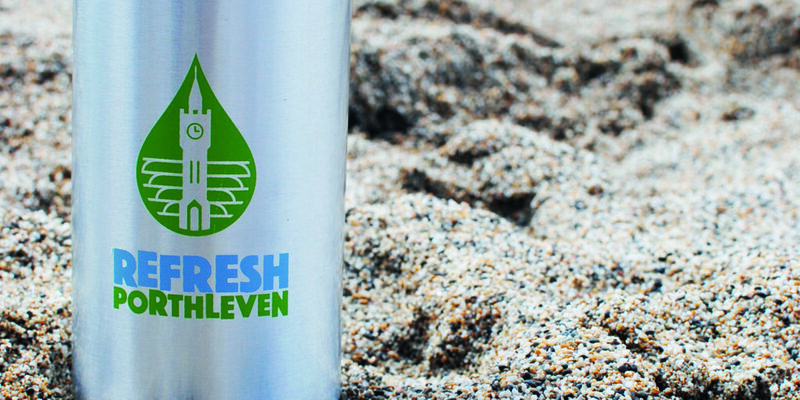 Origin Coffee have now joined the long list of places that are stocking them, so it’s really, really easy to stop buying plastic, using it once and throwing it away. 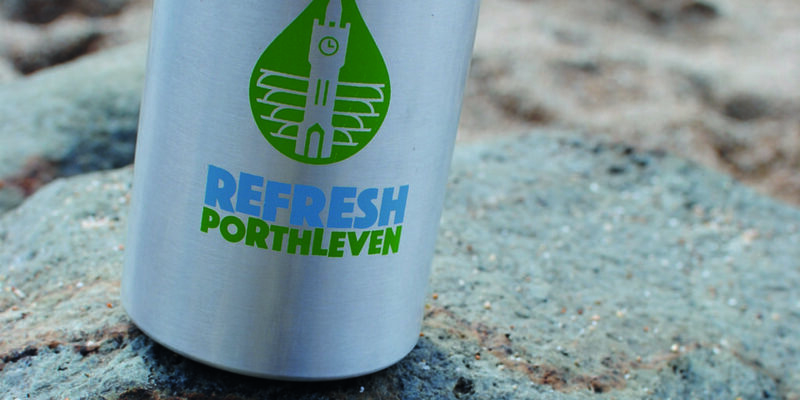 To join the beach clean on April 15th just turn up on the morning, or to join the rota for the Food Festival or get more information, email: hello@refreshporthleven.co.uk . 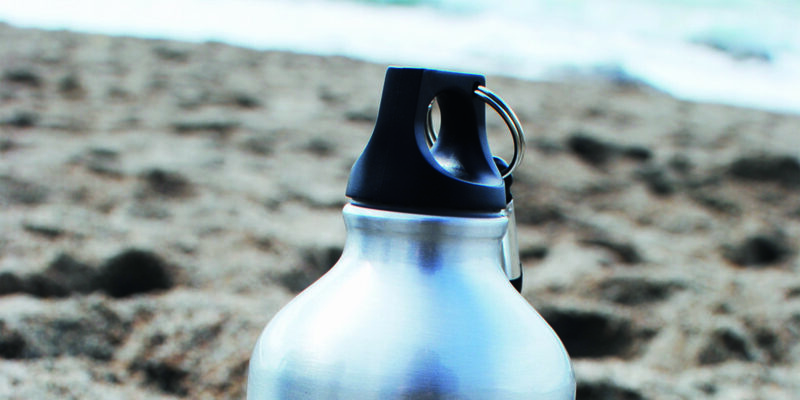 You can also Message the group on Facebook.